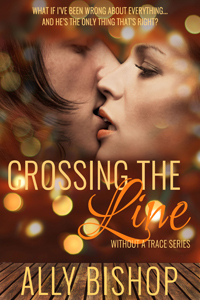 Today's featured book is Crossing the Line by Ally Bishop. I've never believed in love at first sight, which is probably why I write mysteries, and not romances, for a living. Besides, I'm too focused on expanding Elementary, a mystery dinner party business I own with my brother Noah. I don't have time for romance. When the handsome and successful Ian Crane books our services, I can barely keep my wits about me. He's setting fire to all my rules, and I can't resist his flames. I don't recognize the woman I'm becoming, but I don't want to go back to who I was. There's a part of me that can't help wondering, what if he's too good to be true? Because if he is, my heart will be nothing more than ashes.